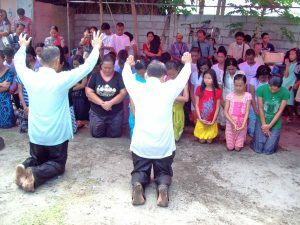 Praise God, 115 precious souls accepted Jesus last Sabbath, June 18. I thank God for giving me this opportunity to work for Him and for using you, Sir Hal, to support me. When I looked at the people lining up for baptism, I can see that Jesus is really coming very, very soon and it could happen in my time. 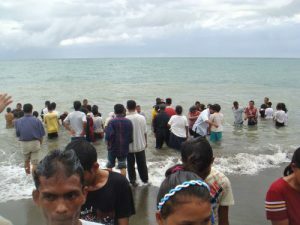 ~ Chelmer Cacal (Southern Mindanao Mission) – Last Sabbath, 31 precious souls were baptized after the end of our crusade. Of the 31, thirteen (13) were my Bible students at the MSU campus. During the nightly crusade, all of my Bible students had 100% attendance. I believe the Holy Spirit invited and guided them. Last December I conducted a Family Seminar at San Jose General Santos City. One of the seminarians was Pastor Elias, a Charismatic Pastor of Hope Faith Church with a 30-member congregation. 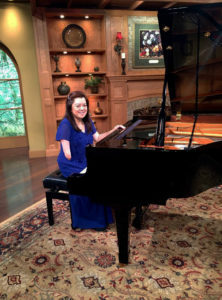 that he heard, which is different from that of Hope Faith Church where he is a pastor. reasons: he has his flock that needs his guidance, and second reason is financial. Even after our seminar had ended, I continued giving him Bible study. I challenged Pastor Elias that if he really has a desire to follow Jesus and whatever worries he has in life to just accept Him and He will direct his path. These challenges brought him to a firm decision to accept the baptism. It took him many months to decide and so I was very happy for his decision. Right now we are giving a series of Bible studies to his family and to his former church members and praying that they will accept the new Bible truths. I appreciate Pastor Elias’ dedication. 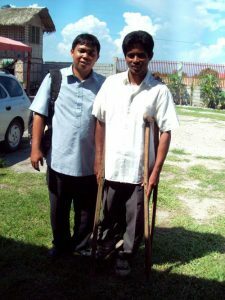 Even though he has physical limitations, yet he is eager to walk and spread the good news.